Saved Over $11,000 - Sold in 43 Days! Impeccably cared for home with open floor plan, high ceilings & partial ocean view. Includes central a/c, plantation shutters, S/S appliances, custom kitchen tile floor, corian counters, upgraded bdrm carpet & padding, dark laminate flooring, & tan walls. 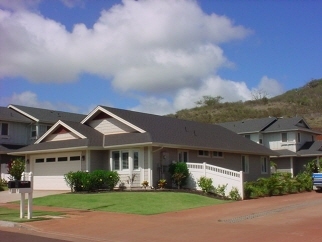 The covered lanai & tropically landscaped yard with sprinklers are perfect for BBQs. Must see to appreciate! Priced $65k below assessed value. Savings based on companies that charge a 6% list fee.